Access the tools you need through the bold, new interface. Select and customize fill stitches, add and modify lettering, and give your designs a unique look with specialty features and arrangements. Discover digitizing power that makes it easy to create the designs of your dreams! Have you found a simple design you would like to make more elegant? 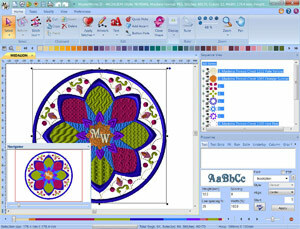 It’s easy to convert vector images to beautiful embroidery. Import your design to MasterWorks III and create what you desire. The bold interface displays the entire set of helpful tools, and the navigation window lets you zoom in on specific areas while editing your design. Customize every detail, from the thread color to the fill stitch, while in zoom mode. Remember to review the design density and remove any hidden stitches in overlaps. When you’re ready for embroidery, move the traveling stitch with a quick click so all you see is the beautiful design you just created. Personalize every detail of your images and lettering, including the fill stitch! When picking a fill-stitch, choose from over 500 built-in options or customize your own! 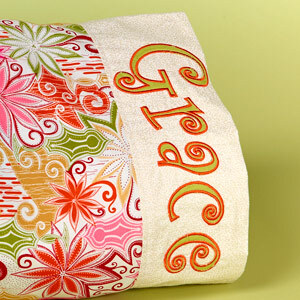 Specialty fills give designs a textured look or can be used for a reverse appliqué effect. 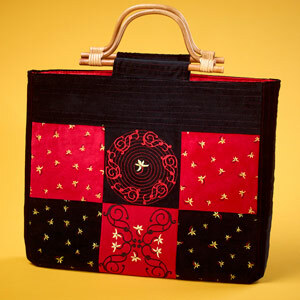 To achieve consistent stitches, move your quilting to the embroidery machine. Add unique embellishment to quilt blocks by applying specialty fills to outline shapes. 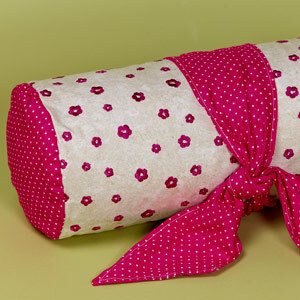 Even create your own quilt patterns! 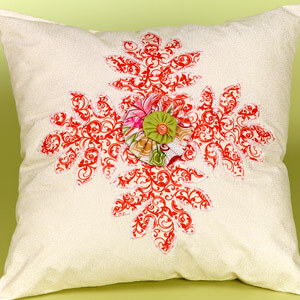 Arrange designs in a particular pattern or draw your own. Curves are just a few clicks away with one and three click curve abilities, and achieving an intricate ripple effect is as easy as clicking a button. Embellish projects with fun pattern arrangements. With Scatter, a quick click randomly rearranges the designs on the design page. Click again for a different scattered arrangement. For a more controlled arrangement, create custom paths to fit designs in a circular, carousel pattern. Or, use Quick Copy to place duplicate designs exactly where you want them. 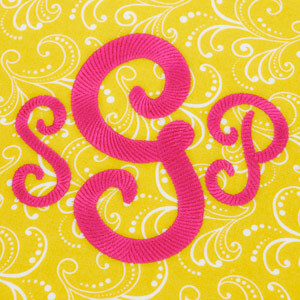 Add and customize lettering for embroidery. Choose from a variety of built-in fonts or convert your TrueType® fonts to increase your lettering options. Plus, you can create over 160 new lettering choices with modifiable fonts. 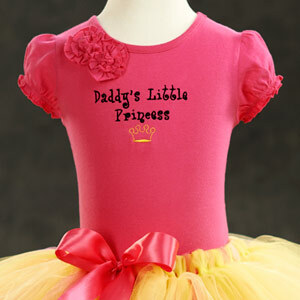 Font options include: run outline, satin outline, appliqué, trapunto, spiral or default with run outline. Curly fonts are all the rage, and MasterWorks III has added a few exclusive curly fonts to its collection including Boingo and Girly Appliqué. Exclusive running stitch fonts such as Art Deco and Licorice are also included. Only MasterWorks III offers these exquisite fonts. Track design details with the Notes feature. This allows you to keep a memo of when and how you used designs, what thread colors work, and how you would like to change things next time. You can also create and print patterns for future use. You can do a lot with one design. Create an original scattered pattern, copy the design on a custom path, or create a ripple effect on a quilt. One design can even be mirrored at different angles for a unique look. Plus, using the editing features you can also resize, rotate and flip designs. If you want to add another element, merging designs is easy! Want to embroider now? Choose a quick pick! 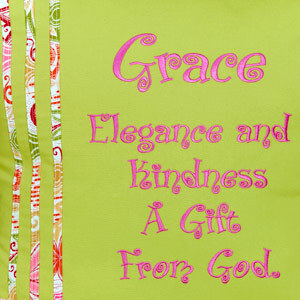 Choose from over 80 Quick Pick, fully digitized designs to embellish your work, or use them as quick sew-outs. 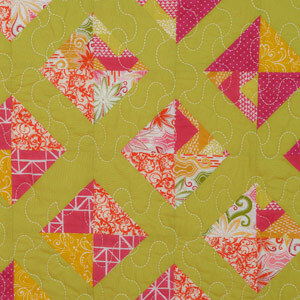 Merge Quick Picks with other designs and MasterWorks III will remove overlapped stitches from the layers. Home Tab – Find the features you’ll use most often on the Home Tab. Apply stitches to artwork, add text, preview your design and more. Tools Tab – Everything you need to make digitizing easy is in the Tools Tab. Find the four helpful MasterWorks Wizards, Custom Thread Palette and Recipe Creator here. Modify Tab – Put the finishing touches on your design in the Modify Tab. Change the orientation of your artwork or design. 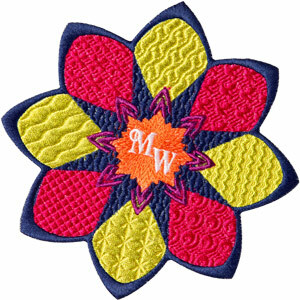 Align your design with the embroidery hoop, sort thread colors and add project notes. View Tab – In the View Tab, you can choose what you see while you create your designs. Use Ghost Mode to make editing of specific design sections easier. Preferences Tab – Change your settings and calibrate your computer screen in the Preferences Tab.